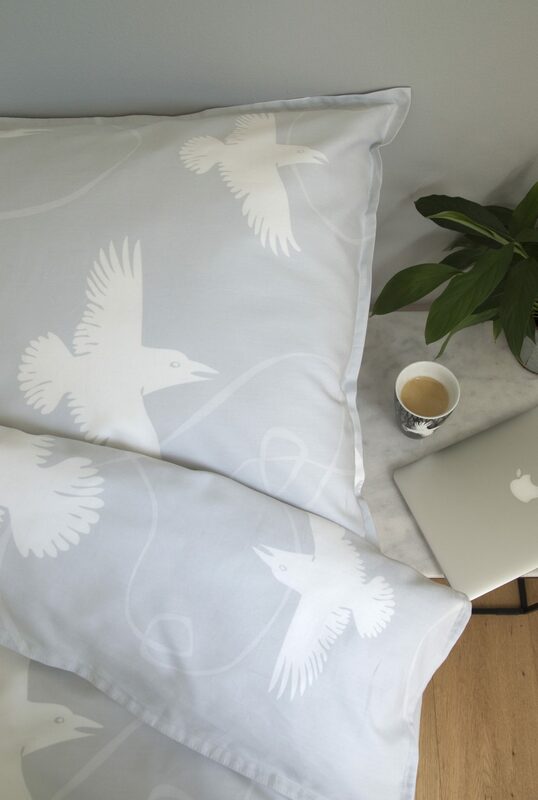 New bed set with the flying Raven now in stock at Vorhus: www.vorhus.com. Pillow cases are included in the sets (2 with 200x200cm). Fabric: 100% cotton, satin weaving, 300 thread count – soft and quality fabric.